The Department of Geology offers a variety of degree options to fit your interests. We invite you to speak with an Geology advisor about how our program may be customized for you. 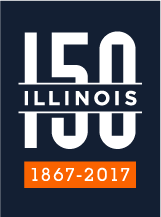 Please schedule an appointment with your advisor, or, if you do not have one assigned, contact Mrs. Lana Holben at +1.217.333.3540 or holben@illinois.edu.